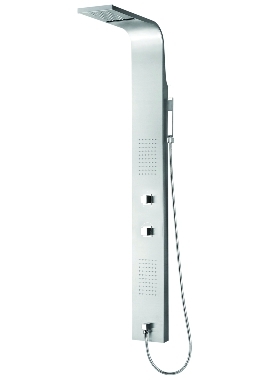 Featuring a bold, contemporary design the Rococo Shower Column will create a stunning statement in any modern bathroom. This slimline unit is compact and so will not take up too much space, also easy to install and maintain. 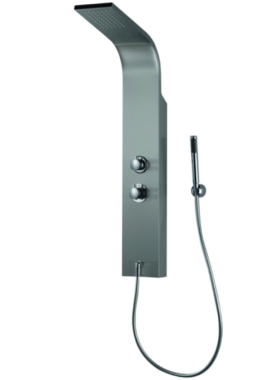 It includes a shower head, handset, moveable body jets, thermostatic controls, all in a neat and streamlined arrangement. 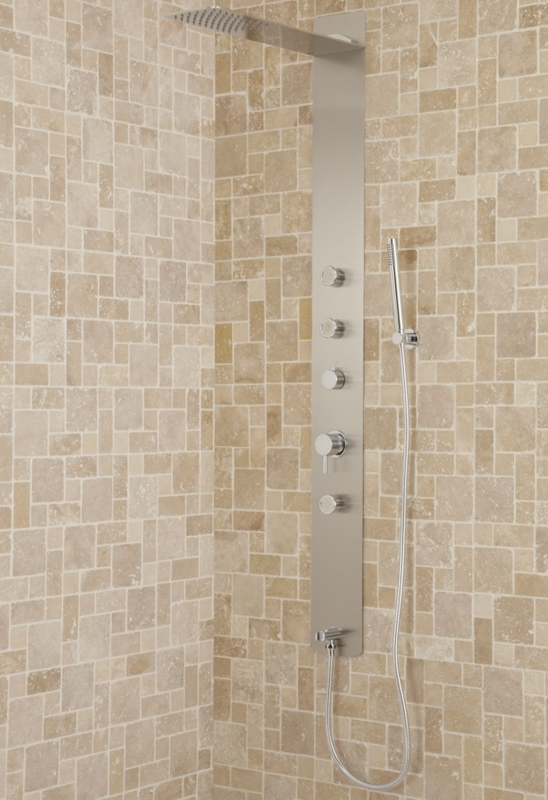 The valve features thermostatic technology for maintaining a safe temperature and to ensure that you always get a fine tuned shower. 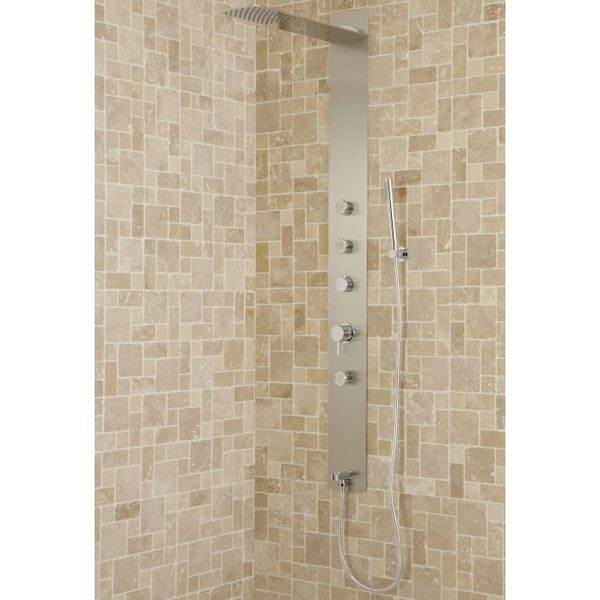 The overhead shower with water-blade creates a relaxing rain-like stream of water that gives the effect of standing in a drizzle while the body jets work in tandem to give a strong invigorating massage. 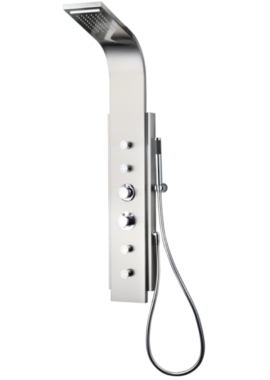 The chrome plated hand shower fits snugly into the hand and is a good rinsing option. Suitable for high water pressure system. 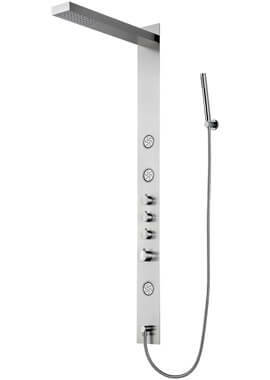 Can you have more than one selection of water direction from jest and shower head or shower head and hand held shower head ? Looking at the product it would seem that only one can be selected at any one time.